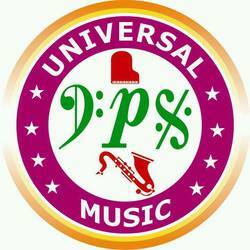 DPS Music Academy offers lessons in Piano Keyboard, Guitar, Violin, Flute, Drums, Saxophone, Theory of Music , Western & Carnatic vocal from ages 5 to adult. Our goal is to help families meet their musical goals. Many people have lost their vision for learning music or never had the chance to pursue it. It is our desire to help them renew their vision and to help them develop their gifts and skills. Our Aim is to establish an atmosphere where traditional learners can also develop their creativity and where creative (play by ear) students can enrich their knowledge of music by learning to read notes, and by studying ear training and music theory. The Academy prepares students for Grade Examination conducted by the Trinity College London. The medium of instruction is in English. The standard maintained in the music activities and discipline will make the students perfect gentlemen/ladies and good citizens. Model tests are conducted among the students to cultivate competitive spirit among the students.